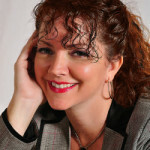 Jennifer helps her clients learn how to get the word out about their books, which ultimately causes more sales. She began presenting these tidbits at our monthly meeting in September 2015, and then posting them to the next issue of Word Song our newsmagazine. Stay tuned for more. If you have a marketing tidbit you would like to share, send them to website@gulfwriters.org. I represent The Carlisle Naples, a retirement community in North Naples and handle the community’s public relations. The Carlisle Naples is planning a book fair Sept. 14 and would like to showcase some local authors who would be willing to speak about their book as well as sell books. When I found your association’s website, I thought you may be a resource for us to use to invite some authors. The general public would be invited as well as the community’s residents. We are also seeking a speaker for the event who would talk about memoir writing or getting started in journaling. Could we talk? I’ll better explain the event plans. Sure. Contact our current President@gulfwriters.org, Don. He can set everything up, and seek our our member Artis. She has spoke on memoirs last year. Please forward the list of social media sites that should be included in an author’s platform.